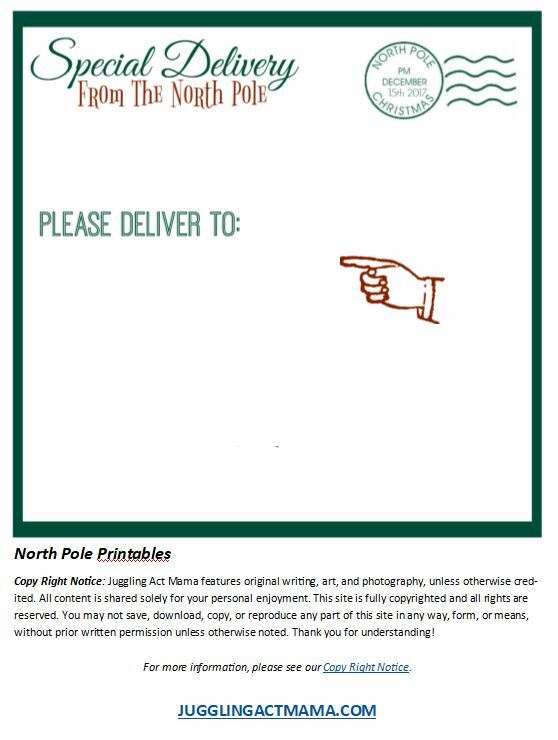 North Pole Printable Gift Tags are our gift to you! 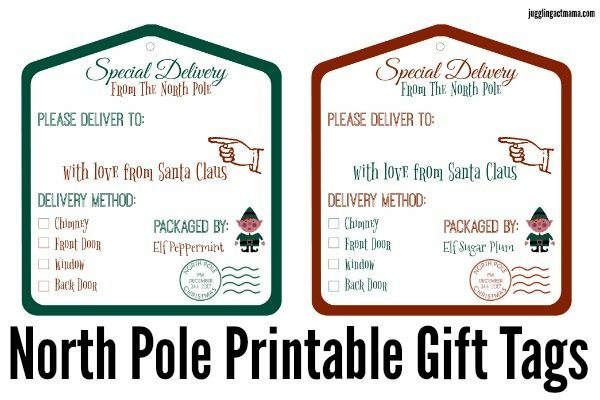 Download these free North Pole Printable Gift Tags and print at home to keep the magic of Christmas alive in your home this year! This post contains Amazon Affiliate links. All opinions are my own, but I only promote things that I love and think you will love, too! This does not increase the cost to you, but does help support Juggling Act Mama. For more information, please see our Disclosure Policy. 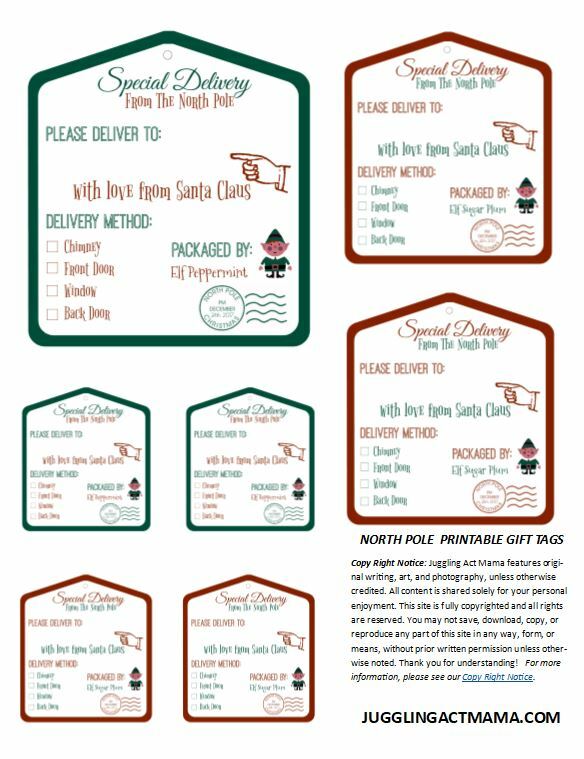 My dear Readers, today I have a little early Christmas gift for you – my free North Pole Printable Gift Tags! 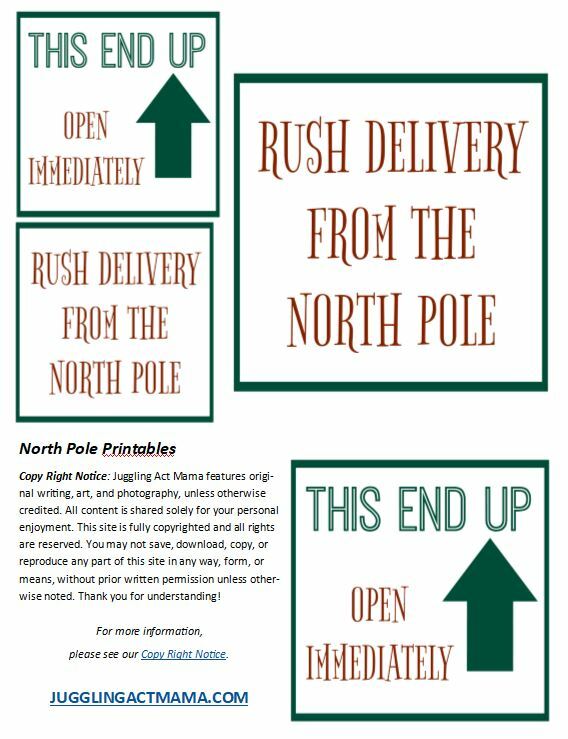 You can print these on sticker paper , or for a more traditional hanging tag, use card stock and some curling ribbon . Or, for a more rustic look, print your tags on brown kraft paper and use baker’s twine to tie the tags on. 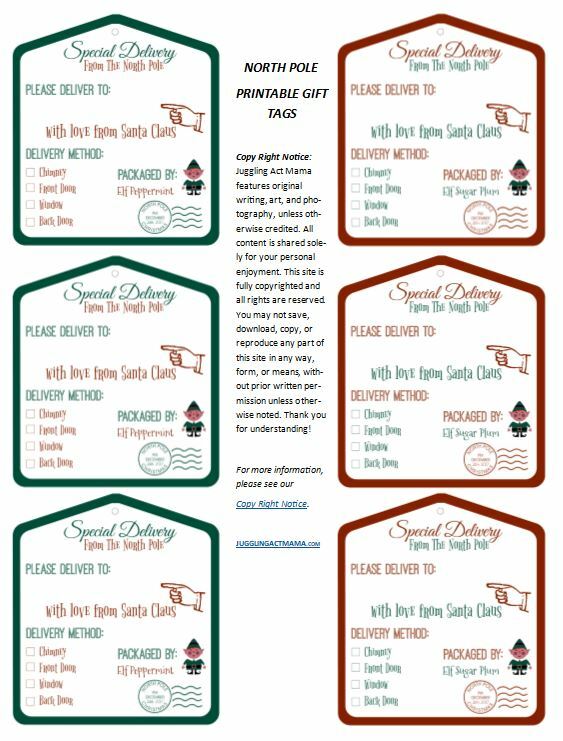 Either way, these gift tags are a super fun way to keep a little magic in your Christmas and best of all, you can personalize them! In our house, Santa gifts are usually wrapped, and always in something totally different than the rest of the gifts. 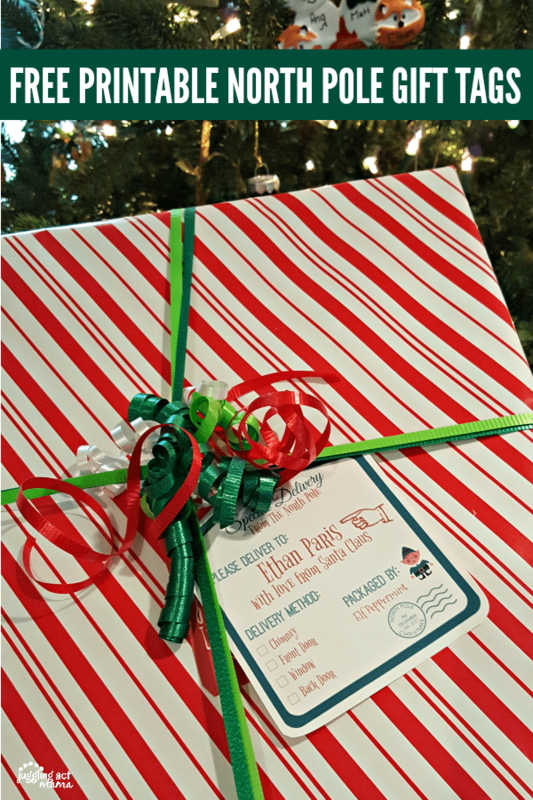 I adore this Santa’s Workshop wrapping paper , but it’s a bit on the pricey side. For more economical choice, check out this reversible foil wrapping paper . We keep plenty of tape on hand, of course, but if you want to get really fancy, you can use Christmas washi tape instead. 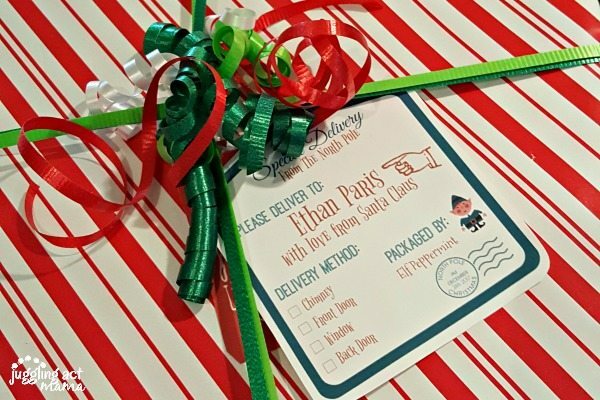 If Santa delivers in a box, you might like these address label and box printables! From our Juggling Act Family to yours, we wish you a very Merry Christmas! Awwww, these are so sweet! And look SO easy! Very cute!